If you have landed here you are one of two people: either you are looking to buy a Sony A7 (and you totally should) or you are already a happy owner and you are shopping for a new lens or accessory. 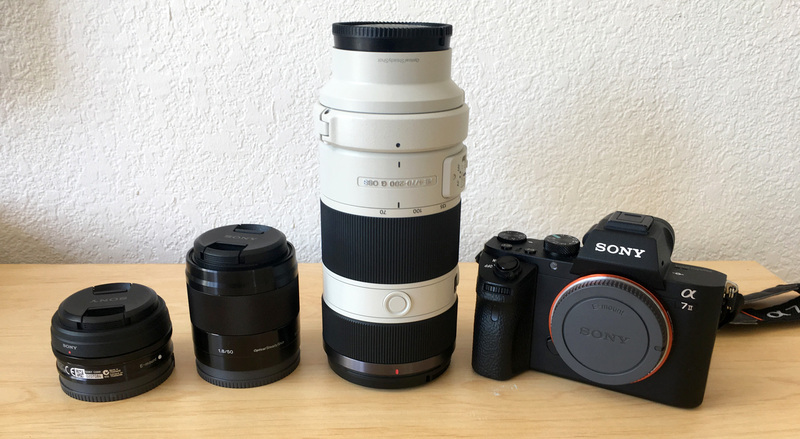 If either of those resonate with you, then welcome to the Mirrorless Sony camera club! Personally, I love photography and everything about it. I love capturing important and meaningful moments, creating stunning and fascinating images, and most importantly I love all the gear! Gadget heads beware! Photography can quickly become another expensive hobby. There is always that urge to get just one more lens, upgrade your tripod, or invest in lighting, software, and cases. All I have to say to that is... totally worth it. 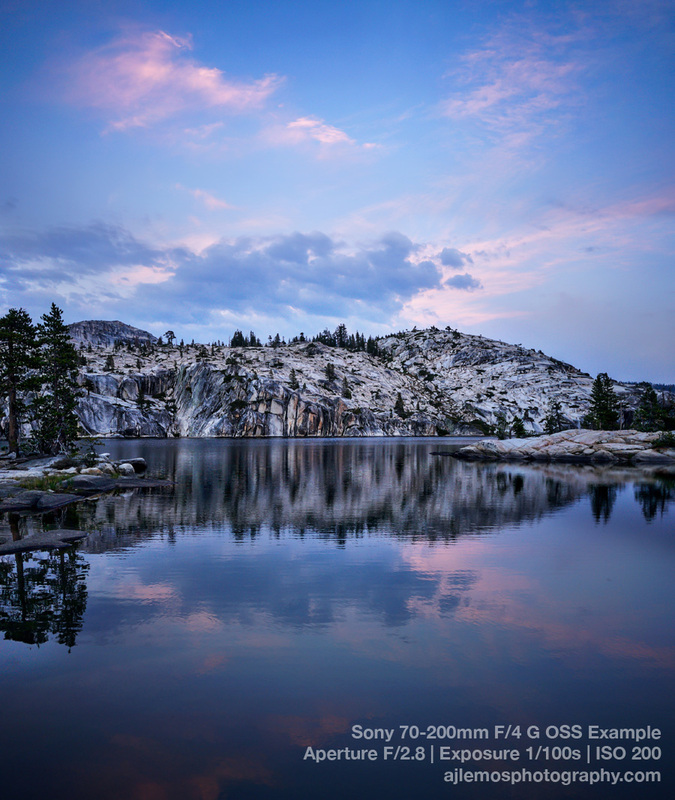 I love to hike and backpack and the a7's small and lightweight body fitted with a full frame sensor is truly a perfect match for anyone packing photography gear over rugged terrain, getting dirty, dusty, and wet. I have three lenses for my a7 that I'll review to the best of my limited knowledge. By no means do I claim to be any sort of an expert here. I bought my Sony a7 without the kit lens, meaning just the camera body with no stock lens. My SLR experience was from high school where I shot on an old Pentax SLR film camera almost exclusively with a 50mm lens. I developed film and prints in the high school darkroom and found a life long hobby. Up until I joined the Sony club a few years ago, I had been shooting on a compact digital camera. I talked to some photographer friends and decided to by a 20 / 50 combo to go with my new camera. 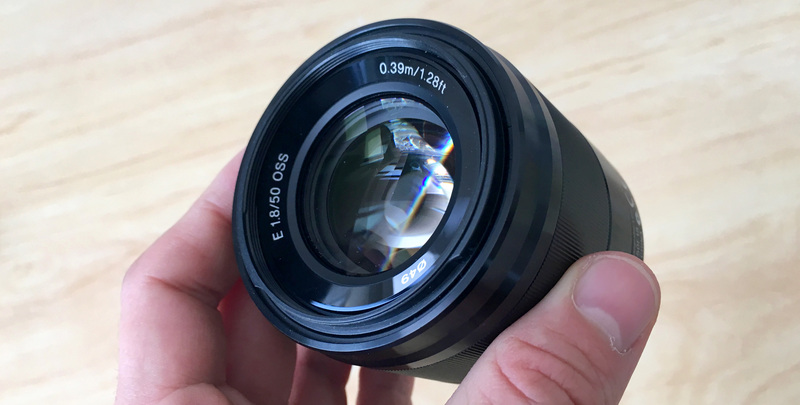 A wide angle 20mm lens for landscape photography and a 50mm lens for portrait and nature photography. Since then I have picked up a 70-200mm zoom lens. This lens set me back about $350. I like it well enough, but out of my 3 lenses it is my least favorite. This lens is good for the most epic vistas and extremely wide shots. However for any sort of medium range or close up shot it really makes me wish I had a 35mm in the kit. I wouldn't mind if it was another f-stop faster and I'm sure the Zeiss 24mm f/1.8 blows it out of the water. Here is a shot I quite like using the Sony 20mm f/2.8. 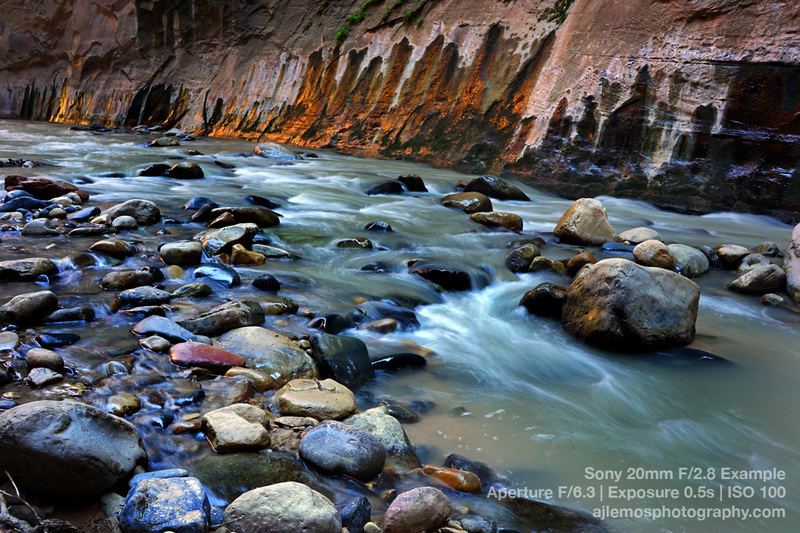 This photo of The Narrows in Zion is a half second exposure at f/6.3 and ISO 100. This is the cheapest E Mount lens I have for my Sony but probably my favorite. The 50mm in my opinion is the most natural feeling lens and I find it to be the easiest to use. Quite possibly this is because human vision also has a 50mm focal length. So looking through a 50mm should seem pretty familiar. The 1.8 f-stop on this lens is great, performing amazingly in low light for both still and video. The Optical Steady Shot technology built into this lens, combined with the image stabilizers in the a7's body makes this lens wonderful for hand held, in-the-moment shots. For action and sports photography the Sonys in general get knocked a bit as having a slow auto focus. Personally I haven't noticed or had a problem with this at all. Both auto focus and manual focus feel quick and responsive to me. Here is a good example shot of the results you can get from this 50mm. This is 30 second exposure at f/11 and ISO 50 that I took at night on the edge of the Vancouver Harbor in British Columbia. This lens is amazing! I thought long and hard between getting this f/4 vs the f/2.8. In the end the lower price point and the lighter body sold me on the f/4. Boy am I glad I went for the lighter one. This lens is a beast but it only weighs about 1.8 pounds. It's so light I even took it Backpacking in Yosemite last year! The Sony 70-200mm f/2.8 is 3.26 pounds and an extra $1000. I'm pretty sure I wouldn't have taken a 3+ pound lens backpacking and so I'm super satisfied with this f/4. The image is super crisp, it has a smooth zoom, and really a nice feeling manual focus. Some consumers complained about these because the body is just hard plastic and reports of these breaking in half on impact are not uncommon. I just plan on not dropping it (knocks on wood). Shouldn't be too hard. 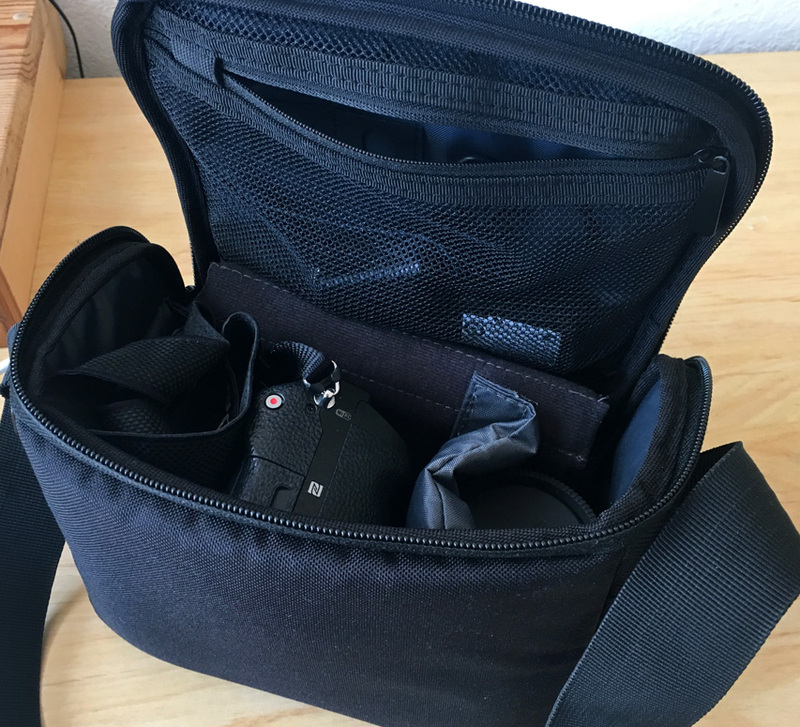 It comes with a nice (fake) leather carrying case, lens hood, and tripod mount. Here is a vertical panorama I stitched together from three shots with this 70-200mm. 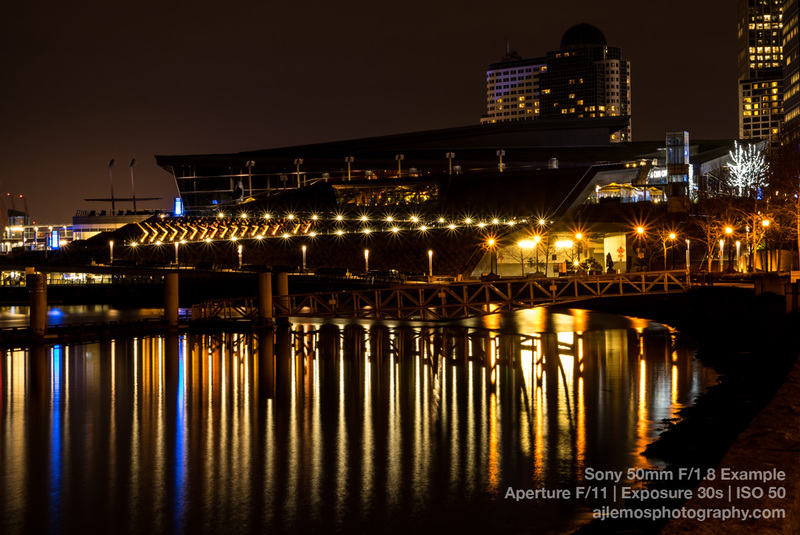 These are 1/100 second (0.1s) exposures at f/2.8 and ISO 200. I got this Yosemite lake reflection shot at dusk while camping at an amazing mountain lake backpacking last summer. This full frame macro lens is everything I hoped it would be and more. It captures killer sharp macro images with amazing bokeh. Manual focus on the 90mm is precise and feels great while zeroing in on the tiniest of subjects. I originally bought this lens right before a backpacking trip in Joshua Tree. It was really fun to get to know my way around this lens on a trip that was filled with amazing macro photography opportunities. Razor sharp cactus, bugs, desert blooms, and tiny flowers all became my macro subjects during the tip. The optical steady shot (OSS) on this lens is a great bonus as it actually makes macro photography possible without a tripod. While most macro photography requires a tripod (because the tiniest movement at extreme magnifications can make your photos blurry) this lens preforms great hand-held, granted you have plenty of light and are using a fast shutter speed. I highly recommend this lens for anyone with a full frame E Mount camera that wants to add an amazing macro lens to their kit. 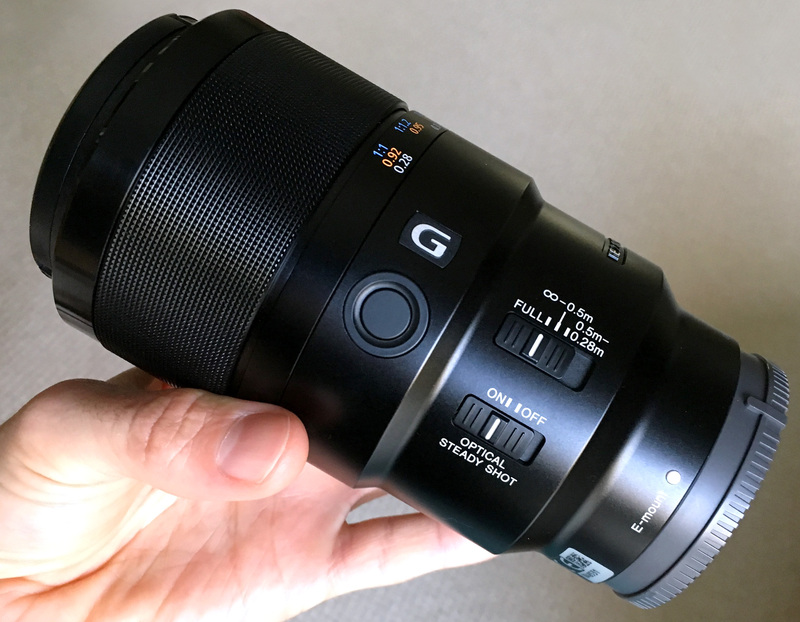 I've written a review on the Sony 90mm f/2.8 G OSS Macro Lens that goes into detail on the lens's sharpness, aperture, focusing, working distance, alternatives, and cost. 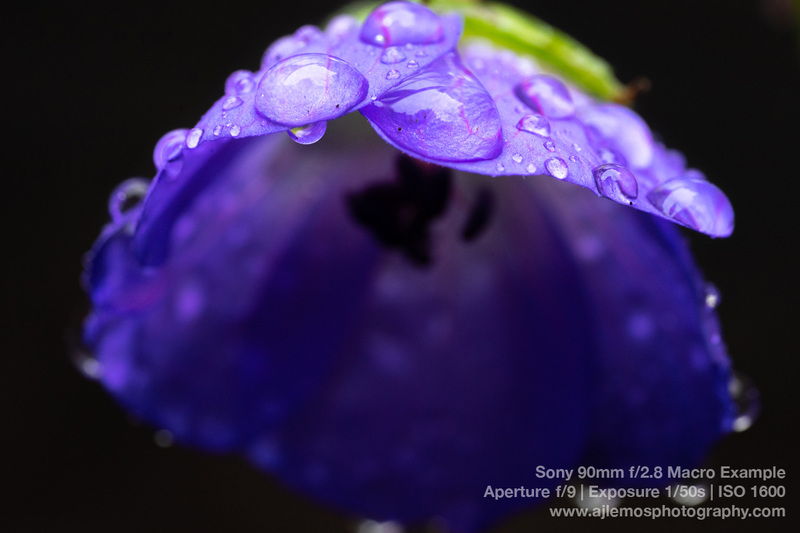 Here is a an example macro photo of a flower with rain drop on it taken with the Sony 90mm G. It was a drizzly overcast day so the ISO is a bit high, yet this lens still captured a super sharp image. See more photo examples on the 90mm macro lens review post. I just can't do it! I don't have the power! These Sony A series cameras are notorious energy hogs. And their reputation precedes them. If you want my advice, pick up 2 or 3 extra batteries (at least) because all the awesomeness your a7 comes loaded with takes a toll on its battery power. I picked up genuine Sony batteries for my power source of choice. While the Sony batteries are quite a bit more expensive, third party batteries and chargers for these cameras have been reported to explode!! WTF! Not my precious camera (or face!). I found that having a wall charger for these batteries is essential, otherwise you'll have to stop using your camera and wait while you are doing your charging due diligence. Can't have that! 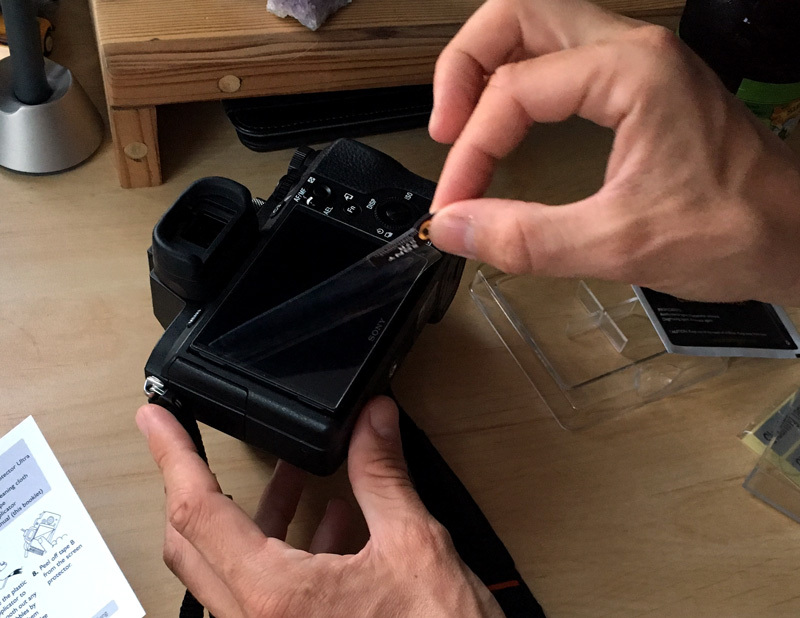 Other than having extra batteries around, disabling your camera's WiFi, preview mode, and a whole slew of other features will save you lots of power. If you are shooting in RAW (probably a good idea), you're going to want to pick up a 60GB flash drive and a few nice hefty external hard drives. I keep three copies of everything digital that can't be replaced. I've seen hard drives die and it's not a fun problem to have. So make lots of backups! 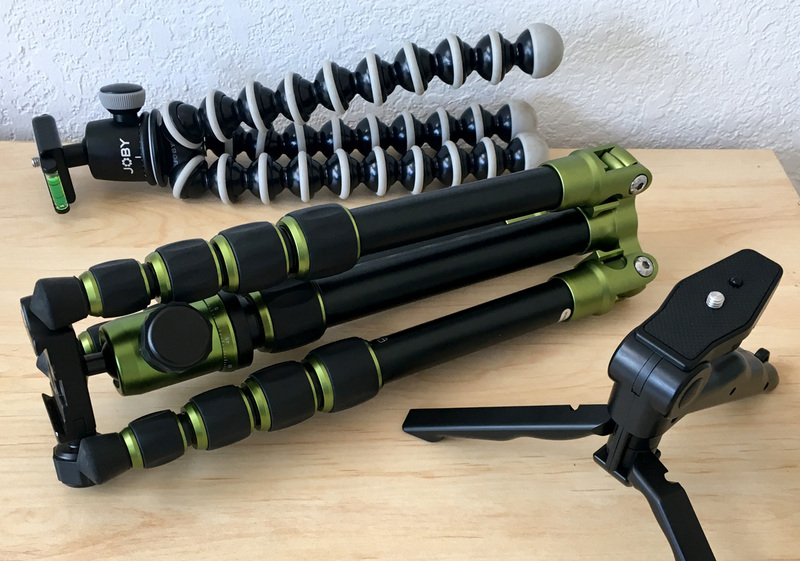 I've got three tripods. A MeFOTO BackPacker (though I wouldn't take it backpacking), a Joby Gorillapod, and a Goliton Mini Tripod. I love my green MeFOTO BackPacker. 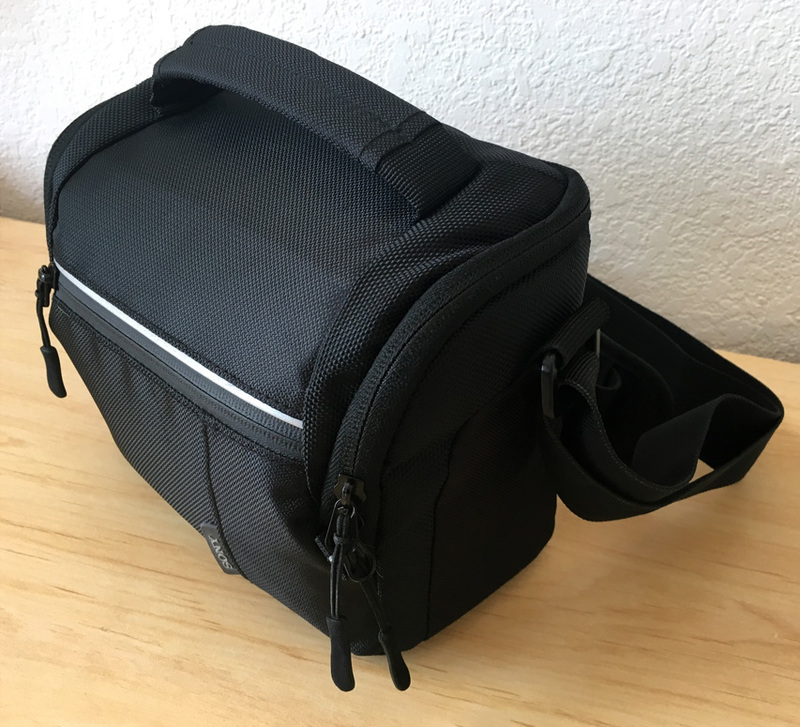 It's lightweight enough for a day of serious hiking, compacts into a reasonably small size, and extends tall enough for eye level work. It holds the a7 with a lens easily as well as the 70-200mm when mounted from the lens. The tripod is quick and easy to adjust and offers portrait and landscape orientations via a very flexible ball head. 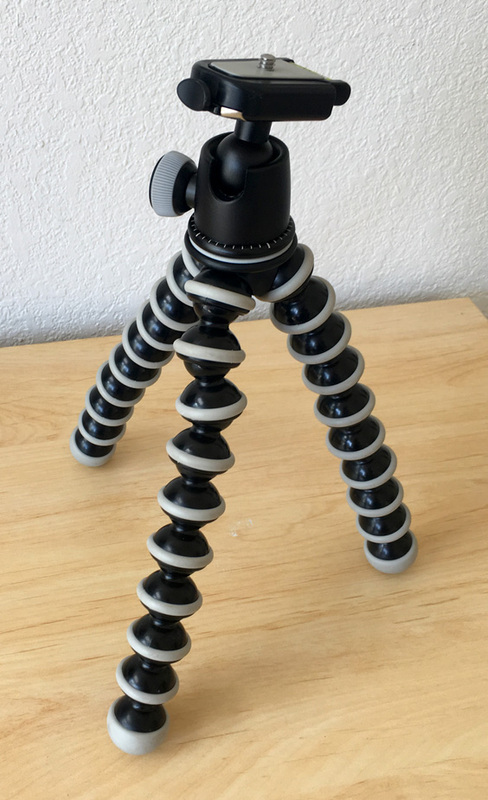 The Gorillapod on the other hand I have barely used. It seems to be kinda gimmicky, and hard to get off the ground unless there is the perfect tree or lamp post to attach it to for a higher angle. 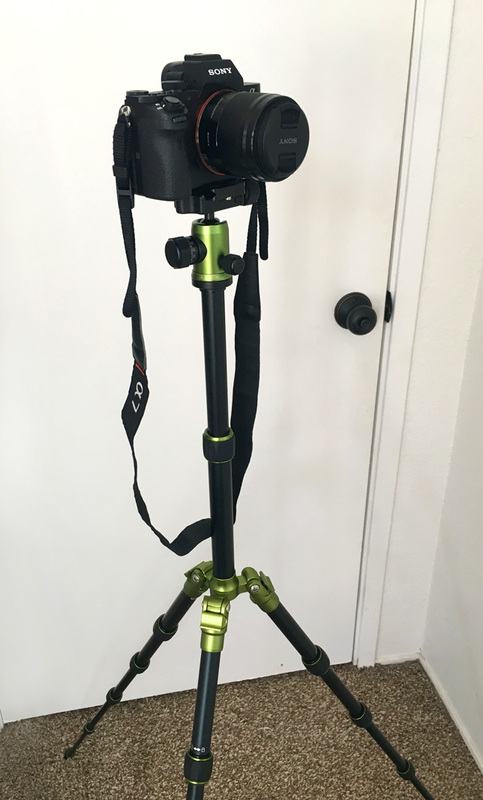 It's been handy to have around a few times but since it weighs almost as much as the MeFOTO BackPacker I find it less useful than a traditional tripod. Last but not least. 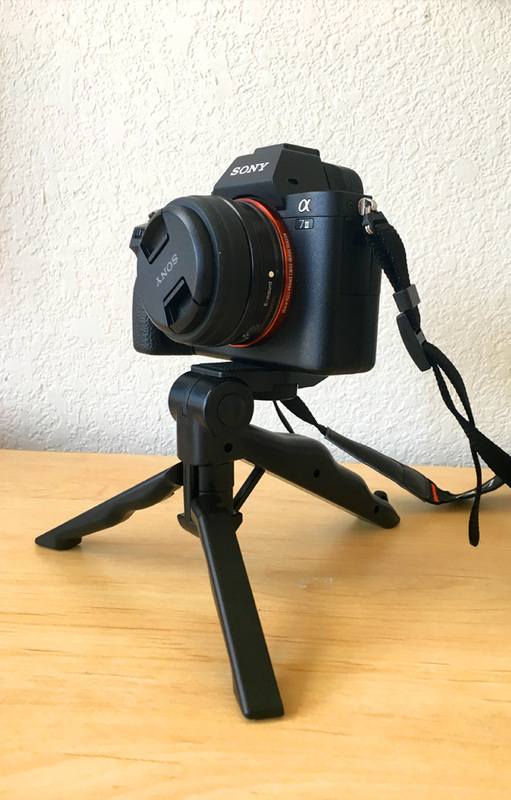 The Goliton Mini Tripod is a cheap hunk of hard plastic that is lightweight and folds up into a very small space. Surprisingly it holds up the a7 with both the 20mm or 50mm attached no problem. Last time I went backpacking I took one of these and I must say it was better than a rock or a jacket. It does not do portrait shots so on the down side all you get is landscape orientation. But for a few bucks and not much more weight you get a super small and portable mini tripod. We've all been stuck in the rain at least once, clutching our precious electronics close to our bodies, hoping against all hopes that they won't get wet! This happened to my wife and I on Kauai and I remember running uncomfortably bent over with her phone wrapped in my t-shirt, trying to keep it dry. 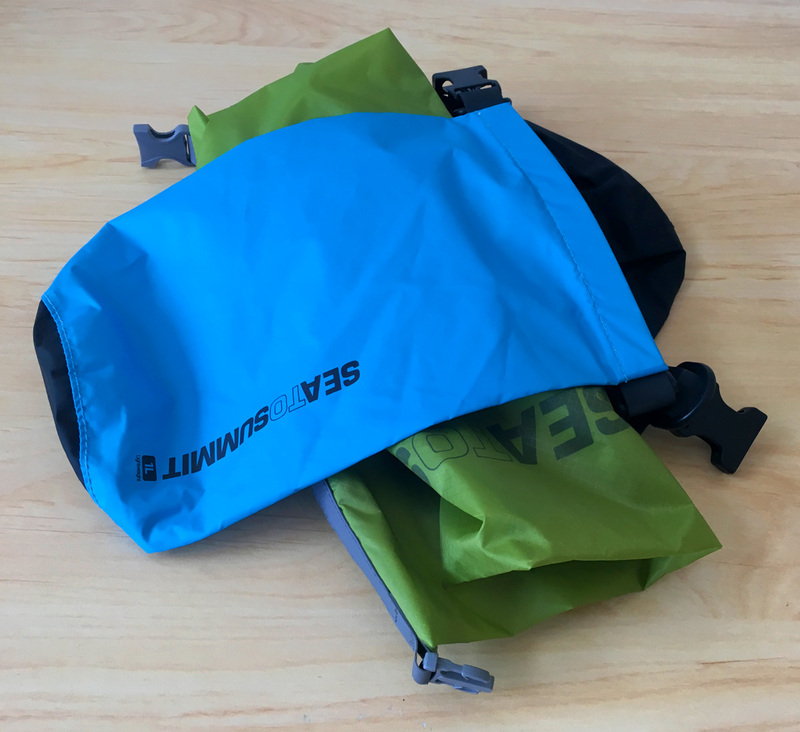 These days I keep a dry bag or two in my backpack or camera bag for these surprise occasions. The a7 has a hard plastic LCD display screen and unfortunately, hard plastic can easily get scratched up, especially if your camera is banging around in backpacks, getting left on the car floor, or rubbing up against anything but the softest of fabrics. Since day one I knew the plastic LCD on my a7 had the potential to be permanently scuffed up. 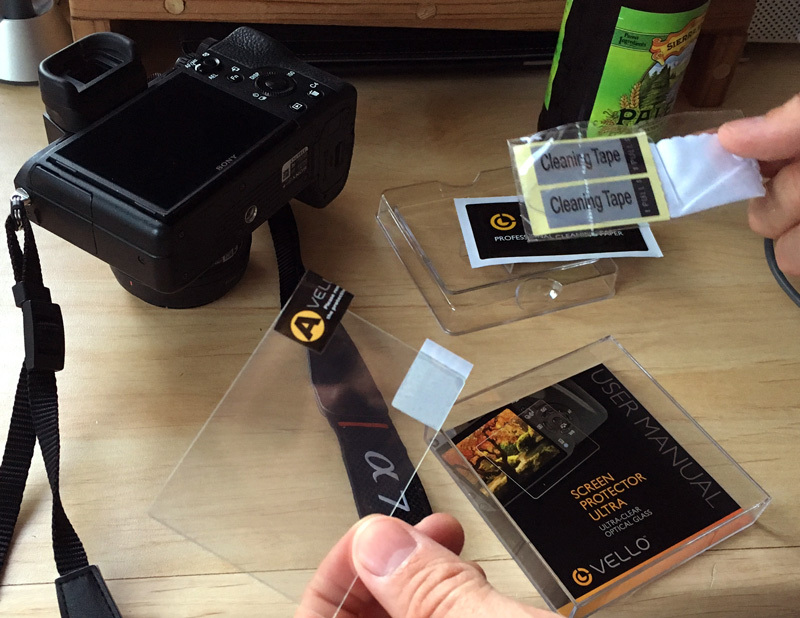 I immediately slapped on one of these Vello LCD Screen Protectors – adding an ultra thin layer of protective glass to my camera's screen. 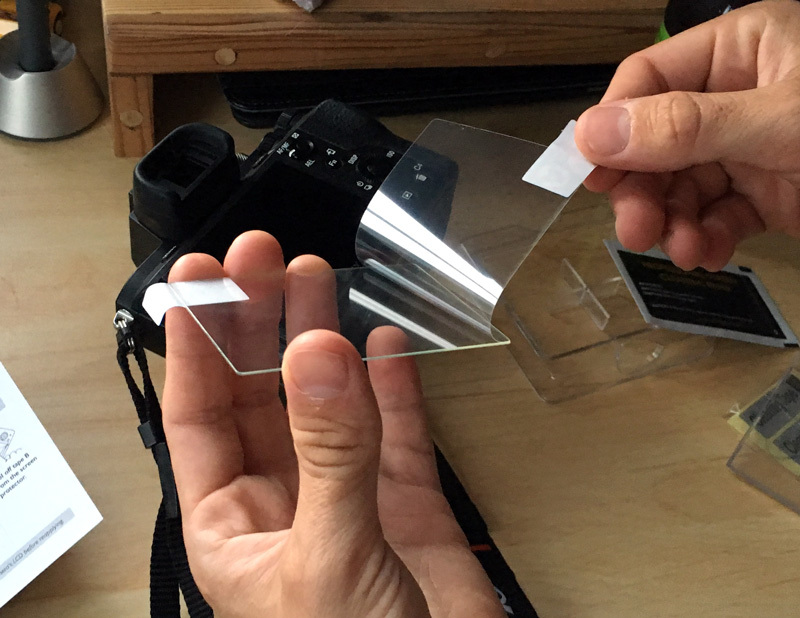 This accessory is expensive for one little piece of glass, but believe me, it's worth every penny. It literally transforms the plastic LCD on the a7 into a reliable and protected glass screen. It doesn't affect the quality or colors of the display and it adds a really nice feel to the camera. After a few years of banging my camera around I finally cracked the screen protector backpacking while scrambling over logs and rocks. I'm pretty sure my 50mm hit the edge of the screen when jumping a few feet to the ground – my camera and lenses were shoved into one of my pack's side pockets. I'm seriously glad I had the Vello protector on my a7's screen to take the impact. Best of all is the protector easily comes off and leaves zero trace of adhesive. 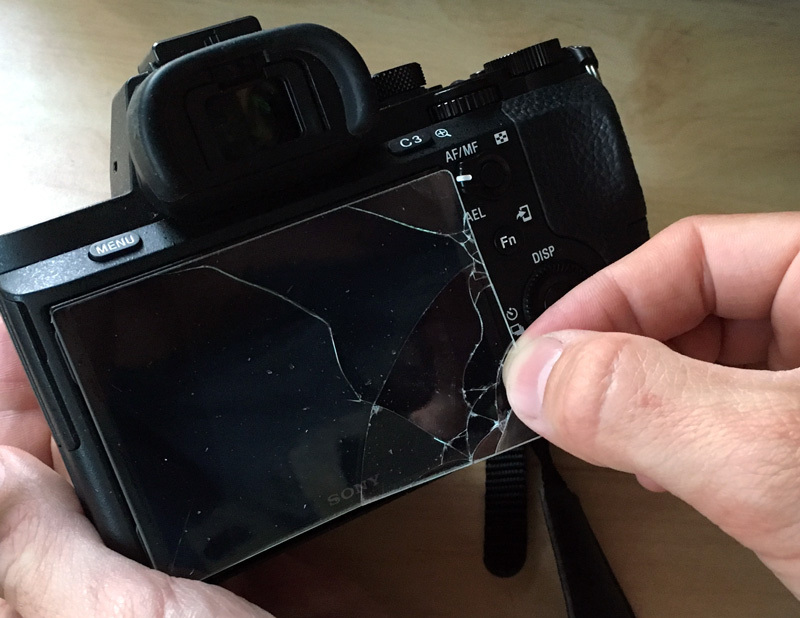 I slapped a new glass protector on my camera as soon as I was home and with any luck I'll keep my a7's LCD good as new for years to come. Thanks for reading. 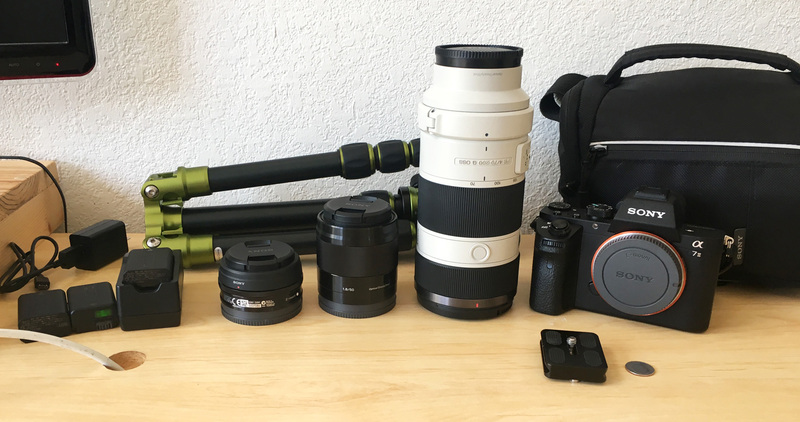 Hopefully this article was helpful and you love your a7 as much as I do! Hey Adam, thanks for the info! Yep, I'm aware that both my 20mm and 50mm are APS-C lenses and crop my full frame sensor by two-thirds. I got both of these as budget lenses over the stock zoom lens that comes with the A7. Overall I've been super happy with both of these primes but I would love to upgrade to full frame 35mm and 50mm lenses.